Numerous improvements in our understanding of the mechanisms that underlie neuropathic pain states have come from the development of animal models, most of which involve partial peripheral nerve injury. The animal models have shown that nerve injury initiates a cascade of events resulting in altered neurochemistry and molecular biology of the peripheral neurons, the dorsal root ganglion cell, and changes in neurotransmitter and receptor expression in the dorsal horn of the spinal cord. Moreover, nerve injury produces anatomical changes with functional consequences. This volume summarises the current understanding of the pathophysiological processes in the peripheral and central nervous system that contribute to the neuropathic pain. 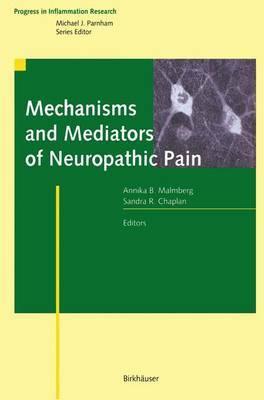 It provides a timely review of neuropathic pain mechanisms, written by experts in the field.